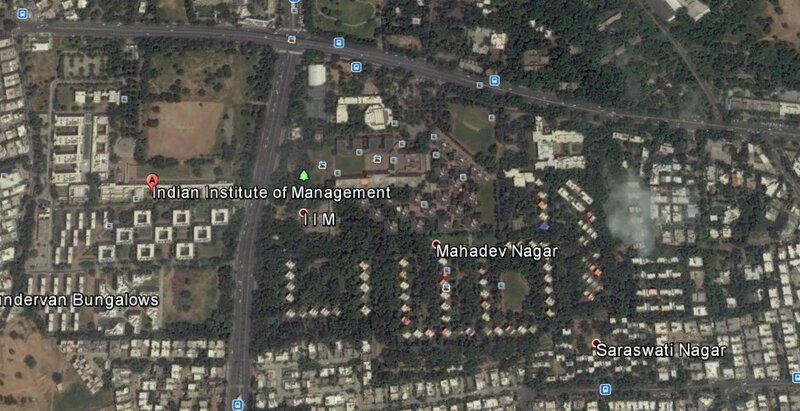 Indian Institute of Managemenr(IIM) Ahmedabad today unveiled master plan of campus infrastructure for next 25 years. A good thing is that, though IIMA plans to increase the number of dorms for students and housing facilities for faculty, the green cover is not going to be compromised. In fact by intelligent use of existing land, the green cover it increase. Another good thing about this masterplan is that, the new structures will not replace any of its building that has heritage value. “The new buildings that will come up including a new academic block, the Jindal School of Public Policy, apartments for the faculty, dormitories or students, and a brand new sports complex including the IIFL Swimming Pool will complement the existing iconic architecture of IIMA,” said Boby Desai, Director of Design, HCP who presented the masterplan in presence of media persons and Director of IIMA Dr Nanda. Director of IIMA Shri Ashish Nanda said, “the institute has appointed three architects for five new projects: RMA Architect for the School of Public Policy, Arcop for faculty and student housing, and HCP for the new academic block and the sports complex. These five projects are the first phase of a multi-year plan for increasing the capacity and renewing the IIMA campus, while maintaining its unique character. The Jindal School of Public Policy will be a multi-storey structure, including several classrooms and faculty offices. Prof. Rahul Mehrotra, Founder Principal of RMA Architects and Chair of the Department of Urban Planning and Design at Harvard University’s Graduate School of Design, will lead the design of the Jindal School of Public Policy. JSW which is in to steel, power, cement and port infrastructure business has pledged a contribution of Rs 85 crore towards developing this school. According to Shri Sandeep Gokhle, President of JSW Group, Rs 25 crore has been earmarked for the building and support infrastructure. The multi-storeyed modern apartment buildings of faculty housing and students housing will be designed by the Montreal based Arcop group. The student housing facility will offer single-occupancy rooms for student accommodation within the context of a modern building. According to Mr. Nanda, the IIM has 90 faculty while sanctioned number of faculty is 120. To attract good faculty, it is important that we provide good housing facility within the campus. The new academic block and sports facility will be designed by HCP facing the existing academic block in the new campus. It will have several classrooms, faculty offices, and administrative offices. The sports complex will include an Olympic-sized swimming pool contributed by IIFL, whose chairman is IIMA alumnus Mr. Nirmal Jain. The complex will also include squash courts, badminton courts, gymnasium, an athletics track, and other ancillary facilities.